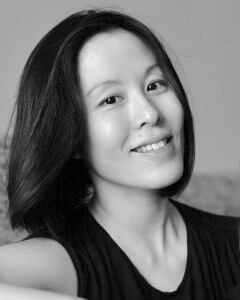 Alison Lee is a former PR and marketing professional turned work-at-home mother. After a 10-year career in various PR agencies, and of the world’s biggest sports brands, Alison traded in launch parties, product launches, international press junkets and world travel, for sippy cups and diapers, breastfeeding and potty training. Alison has been actively over-sharing stories of motherhood on her blog, Writing, Wishing since 2011. Her writing has also been featured on The Huffington Post, Mamalode and Scary Mommy. She is a contributing blogger at Everyday Family, a Community Lead at The SITS Girls, and founder of social media consulting business, Little Love Media, specializing in working with bloggers and small businesses. Alison lives in Kuala Lumpur, Malaysia with her husband and two boys. You can connect with Alison on her blog, Facebook, Twitter, Pinterest, Google+ and LinkedIn. Family Traditions: Do You Have Any?